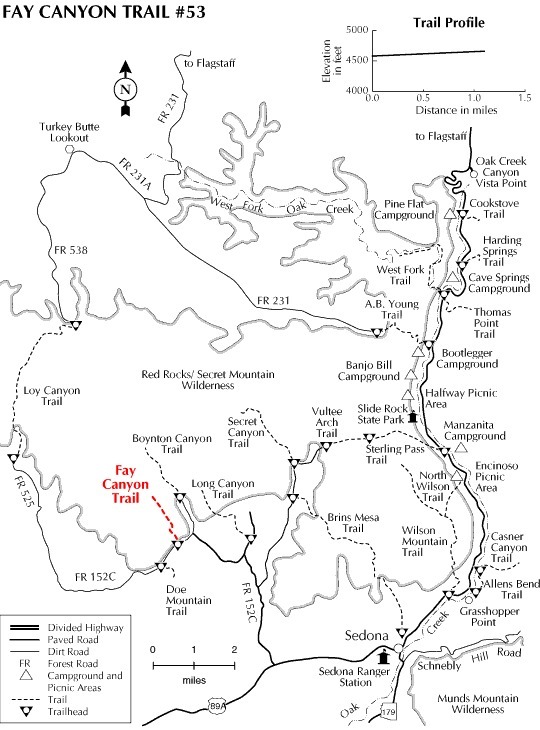 The Fay Canyon Trail #53 goes just over a mile. The official trail ends at a split of two boxed canyons. The trail is wide and easy travel. A use-trail leads up to the arch at 0.6 mi. Be on the lookout as it blends in until you realize the huge arch. The trek up through scrub terrain gets the heart pumping for only 300 feet of elevation gain. Sinaguan Indians may have built in the area, but the ruins beside the arch are definitely twentieth century. Ten feet from the protruding wall the arch appears flush. It spans over ninety feet only 15 feet max above the ground below. You reach an end of trail sign at 1.1 miles just before the canyon splits. It appears popular to explore the west canyon. Probably because it's easy travel. It has a nice towering end but the forest is toast from a fire. East is a treasure trove of exploring. If you find the Fay Pipeline you are close to heaven. 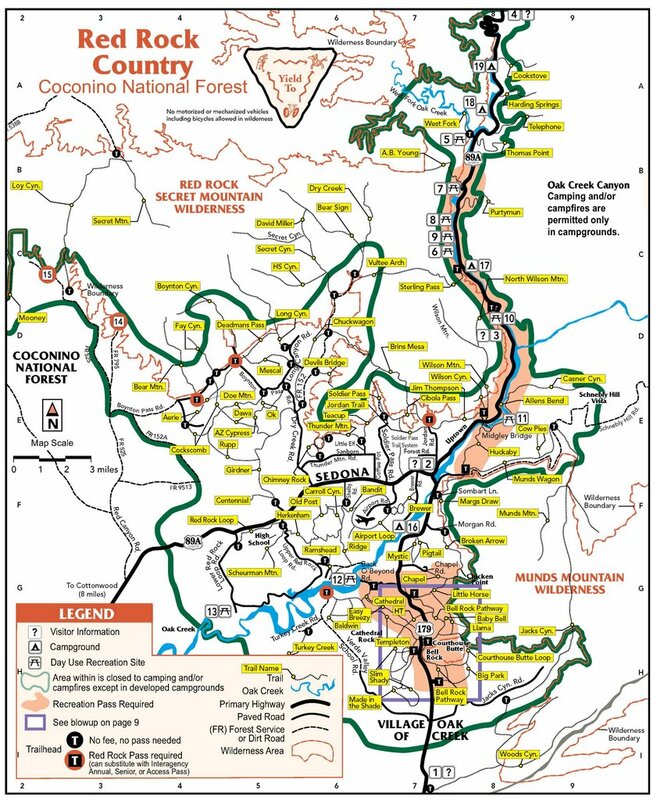 Coconino FS Reports Most people come to Fay Canyon to see the natural arch that's located just under a mile up the trail. But those who don't know about it usually walk right past it. Though the Fay Canyon Arch is by no means small, it looks so much like an ordinary rock overhang it's easy to glance right at it and not realize what you've seen. If you keep watching the rock wall to the north (right) side of the trail sooner or later you'll spot it. Then the short, steep trail up to the arch can be a little hard to locate too. After you've found the arch you may want to continue on up the trail. This small, hidden canyon supports a diverse community of desert plants and provides good views of the surrounding cliffs. The trail follows an old jeep track which eventually turns into a footpath. It dead ends at a red Supai sandstone cliff where you can see evidence of some ancient Indian dwellings and marvel at the breathtaking scenery that surrounds you.